All the ingredients that made Jurassic Park such a successful movie are missing from The Lost World. The great cast, the brilliant set-up, the suspense-filled action sequences and the characters that helped bring together all the other elements. If it wasn’t for the fact that they still used John Williams’ score, you wouldn’t know it was being made by the same people behind the exceptional original. From the very beginning it doesn’t seem “right.” Of all the characters that you would want at the centre of the movie, Jeff Goldblum’s Ian Malcolm is not the one you would initially go for. There isn’t anything wrong with his portrayal and he was a very cool character from the first movie but him over Sam Neill’s Alan Grant? Even Laura Dern’s Ellie, who was never the strongest character from the first, had more of a claim for this movie than Malcolm does. It even stings slightly more when we get a fleeting, pointless glimpse of the two kids from the first movie – Tim and Lex, played by the original actors Joseph Mazzello and Ariana Richards. Them returning to the island would make slightly more sense. Of all the characters from the first to bring forward for a sequel – Ian Malcolm wasn’t the one! A short, convoluted story later and we are thrown onto the island with a whole host of characters that, unlike the first movie, we just don’t care about. We have some history with Ian Malcolm because of his ties with the first movie and there is a charm to Julianne Moore as his girlfriend, Sarah Harding. Unfortunately, the rest of the characters are thrown onto the island, give one sentence of their intentions and then are lined up to be dispatched by dinosaurs. 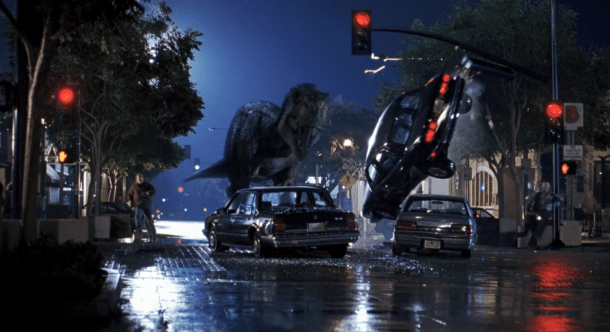 This is the biggest crime of the movie – The dinosaurs don’t seem that… amazing! There are attempts to try to repeat the awe and wonder of the first moment you see the dinosaurs in the original movie but the interaction with the stegosaurus, a very cool dinosaur, just doesn’t ring true in the same way. It feels, like many other elements of this movie, rushed! 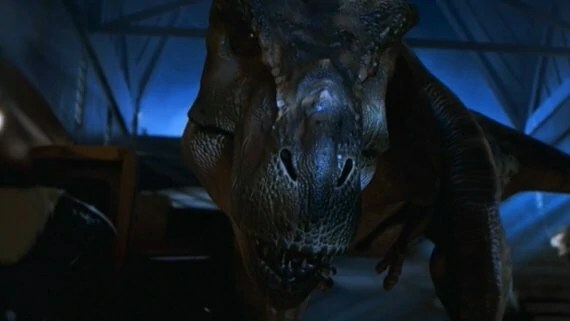 You can see why this movie has a more cut-throat approach to the story though because Jurassic Park spent so much time building to its big reveal and then gave us ninety minutes of pure, unbridled action, both involving dinosaurs and not. Here we get thrown onto the island, introduced to the dinosaurs and then moved from unrelated set-piece to another unrelated set-piece. There isn’t the same great story and multiple tied threads like the first. Just a group of mostly faceless soldiers trying to get themselves off the island. It means the set-pieces are also very hit and miss. The highlight is the T-Rex attack on the huge mobile, laboratory. The structure being pushed over the cliff, with Moore landing precariously on the glass, all hark back to the tense and quite scary moments from the first movie. Not quite the car attack or the kitchen scene but almost. This is completely under-cut by other laughable moments, like a gymnast making the scariest dinosaurs, the Raptors, look average and comical and then of course, the ridiculous finale. Just because an idea is cool doesn’t mean you should do it! It feels like the next step: have the dinosaurs mix with the “real world.” Godzilla will demonstrate a year later that this method wont make for a great movie and if they’d looked back at the last act of The Lost World, they could have saved themselves some trouble. We don’t have a great, scary, tense thrill-ride of a finale but instead something bordering on the silly – with corny, obvious sight gags and another, rushed ending. When the credits on The Lost World rolls, you realise that some movies do not need a sequel. Jurassic Park was lightning in a bottle and had moments that will be almost impossible to repeat on-screen again, even by Spielberg himself. The Lost World is the proof of that fact. 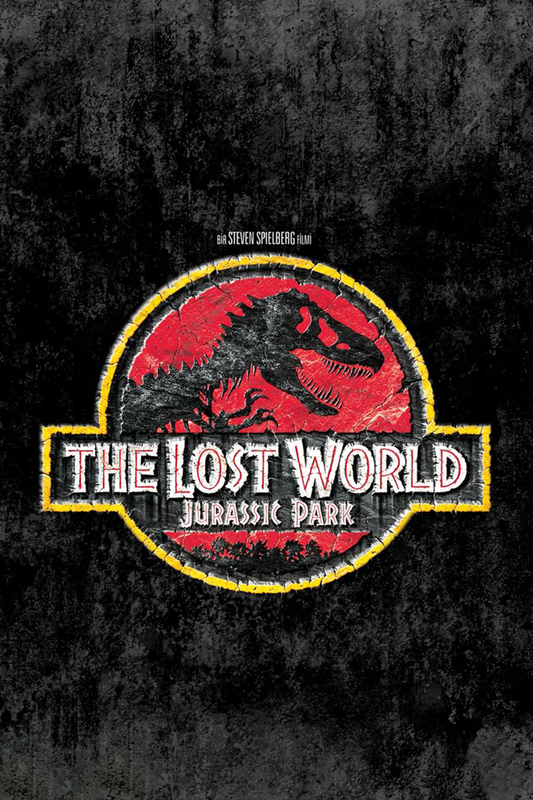 Overall, The Lost World seems to forget all the elements that made Jurassic Park so successful. Forgettable characters, a dull, pointless story and poor use of the biggest selling-point: The Dinosaurs. The finale is also a good example of how an idea might be cool but isn’t necessarily the way your film should end. A film that did not need sequel! I”m getting impatient for this!